The terms “us” or “we” or “our” refers to SAVVY CLEANER, the owner of this Website. A “Visitor” is someone that merely browses our Website. 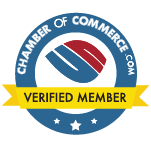 A “Member” is someone who has registered with our Website to use our Services. The term “User” is a collective identifier that refers to either a Visitor or a Member. This Agreement is between you and SAVVY CLEANER. Except as otherwise noted, this Agreement constitutes the entire and only Agreement between you and SAVVY CLEANER, and supersedes all other Agreements, representations, warranties and understandings with respect to our Website, Services, and the subject matter contained herein. However, in order for you to use our Website and/or Services, you may also be required to agree to additional terms and conditions. Those additional terms and conditions will be incorporated into this Agreement unless otherwise stated. SAVVY CLEANER grants you a non-exclusive, non-transferable, revocable license to access and use our Website and Services strictly in accordance with this Agreement. Your use of our Website and Services are solely for internal, personal, non-commercial purposes, unless otherwise provided in this Agreement. No print out or electronic version of any part of our Website or Services may be used by you in any litigation or arbitration matter whatsoever under any circumstances. You agree to provide accurate and true information about yourself to the Site. You understand that you must continue to provide current and updated information that is complete and accurate over the course of time. If you provide inaccurate or incomplete information about yourself SAVVY CLEANER has the right to terminate or suspend your account and may refuse to provide you service in the future without reason. In connection with your account, you will create a Username and a Password. You are responsible for keeping your Username and Password confidential and secure, and you are responsible for all actions taken using your Username and Password. You agree to maintain the confidentiality of your password and are fully responsible for all liability and damages resulting from your failure to maintain that confidentiality and all activities that occur through the use of your password. The Username will be identified as your email address that you initially registered with the Site. You agree to immediately notify us of any unauthorized use of your password or any other breach of security. You agree that Our Website cannot and will not be liable for any loss or damage arising from your failure to comply with password security as discussed herein. Members may post their own content to our Website through our Services (Member Content). Members and Visitors understand that by using our Website or Service, they may be exposed to content that is offensive, indecent, or objectionable. We have no control over Member Content and do not in any way guarantee the quality, accuracy or integrity of such content. SAVVY CLEANER is not responsible for the monitoring or filtering of any Member content. Should any Member Content be found illegal, SAVVY CLEANER will submit all necessary information to the proper authorities. If any Member Content is reported to SAVVY CLEANER as being offensive or inappropriate, we may ask the Member to retract or otherwise modify the questionable content within 24 hours of being notified by SAVVY CLEANER. Should the Member fail to meet such a request, SAVVY CLEANER has full authority to either restrict the Member’s ability to post Member Content OR to immediately terminate the membership of the Member, without further notification to the Member. i. In the sole judgment of SAVVY CLEANER, is objectionable or which restricts or inhibits any other person from using or enjoying our Website or Services, or which may expose SAVVY CLEANER, our affiliates, or our Users to any harm or liability of any type. You are subject to all laws of the state, province and/or country in which you reside and from which you access the Site and are solely responsible for obeying those laws. You agree to comply with all applicable domestic and international laws, statutes, ordinances and regulations regarding your use of our Website, Content, Services, and any software provided therein. You agree the Site cannot be held liable if laws applicable to you restrict or prohibit your participation. The Site makes no representations or warranties, implicit or explicit, as to your legal right to participate in any service or product offered on the Site nor shall any person affiliated, or claiming affiliation, with the Site have authority to make any such representations or warranties. Our Website may contain our service marks or trademarks as well as those of our affiliates or other companies, in the form of words, graphics, and logos. Your use of our Website or Services does not constitute any right or license for you to use our service marks or trademarks, without the prior written permission of SAVVY CLEANER. Certain names, graphics, logos, icons, designs, words, titles or phrases at this Site may constitute trade names, trademarks or service marks of SAVVY CLEANER or of other entities. These trademark holders are not affiliated with the Site. They do not sponsor or endorse our materials. The display of trademarks on this website does not imply that a license of any kind has been granted. Any unauthorized downloading, re-transmission, or other copying of modification of trademarks and/or the contents herein may be a violation of federal common law trademark and/or copyright laws and could subject the copier to legal action. You understand that, except for information, products or services clearly identified as being supplied by SAVVY CLEANER, SAVVY CLEANER does not operate, control or endorse any information, products or services on the Internet in any way. Except for SAVVY CLEANER – identified information, products or services, all information, products and services offered through the Site or on the Internet generally are offered by third parties, that are not affiliated with SAVVY CLEANER. You also understand that SAVVY CLEANER cannot and does not guarantee or warrant that files available for downloading through the Site will be free of infection or viruses, worms, Trojan horses or other code that manifest contaminating or destructive properties. You are responsible for implementing sufficient procedures and checkpoints to satisfy your particular requirements for accuracy of data input and output, and for maintaining a means external to the Site for the reconstruction of any lost data. YOU ASSUME TOTAL RESPONSIBILITY AND RISK FOR YOUR USE OF THIS SITE AND THE INTERNET. SAVVY CLEANER PROVIDES THE SITE AND RELATED INFORMATION “AS IS” AND DOES NOT MAKE ANY EXPRESS OR IMPLIED WARRANTIES, REPRESENTATIONS OR ENDORSEMENTS WHATSOEVER (INCLUDING WITHOUT LIMITATION WARRANTIES OF TITLE OR NONINFRINGEMENT, OR THE IMPLIED WARRANTIES OF MERCHANTABILITY OR FITNESS FOR A PARTICULAR PURPOSE) WITH REGARD TO THE SERVICE, ANY MERCHANDISE INFORMATION OR SERVICE PROVIDED THROUGH THE SERVICE OR ON THE INTERNET GENERALLY, AND SAVVY CLEANER SHALL NOT BE LIABLE FOR ANY COST OR DAMAGE ARISING EITHER DIRECTLY OR INDIRECTLY FROM ANY SUCH TRANSACTION. IT IS SOLELY YOUR RESPONSIBILITY TO EVALUATE THE ACCURACY, COMPLETENESS AND USEFULNESS OF ALL OPINIONS, ADVICE, SERVICES, MERCHANDISE AND OTHER INFORMATION PROVIDED THROUGH THE SERVICE OR ON THE INTERNET GENERALLY. SAVVY CLEANER DOES NOT WARRANT THAT THE SERVICE WILL BE UNINTERRUPTED OR ERROR-FREE OR THAT DEFECTS IN THE SERVICE WILL BE CORRECTED. All live, recorded and written programs taught by Angela Brown Oberer (ABO) and live coaching sessions with Angela Brown Oberer via Ask a House Cleaner, The House Cleaning Guru, My Cleaning Connection, How to Start Your Own House Cleaning Company, Savvy Cleaner or The Savvy Cleaner Network, are for instructional purposes only. They are not guarantees of employment or guarantees of success. Purchasing any programs or products or taking part in any class is no guarantee of employment, earning money or achieving results. Your level of success in attaining results is based on several factors, including skill, knowledge, ability, dedication, networking and numerous other factors. Participation in any program, class, coaching, seminar, webinar, consultation or similar instruction with ABO is not an opportunity to be hired, or be considered for employment or interview for a job. Because these factors are different for each individual, ABO does not guarantee your success in acquiring, creating, owning or operating your own house cleaning, residential cleaning, or maid service company. You alone are responsible for your actions and results in life and business. Any forward-looking statements outlined on this website are of opinion and thus are not guarantees or promises for actual performance. The information contained in or made available through ABO (including but not limited to information contained on videos, blogs, comments, consulting calls, emails, text files, social media, private networking groups, or in any similar communication) cannot replace or substitute for the services of trained professionals in any field. You alone are responsible and accountable for your decisions, actions and results in life, and by your use of this website and its associated products or consulting services, you agree not to attempt to hold ABO, Savvy Cleaner or its affiliates: Life Long Publishing and Life Long Productions LLC, liable for any such decisions, actions or results, at any time, under any circumstance. The information, services and products are sold or given to the user with the understanding that neither the author, seller, nor publisher is engaged in rendering any legal, business or financial advice to the purchaser or to the general public. The views and opinions expressed are those of the author(s) and do not necessarily reflect the official policy or position of ABO. Any content provided by our bloggers or authors, interviewees or show guests are of their opinion, and are not intended to malign any religion, ethic group, club, organization, company, individual or anyone or anything. Although we make strong efforts to make sure our information is accurate, ABO cannot guarantee that all the information on this website and or blog is always correct, complete, or up-to-date. TO THE MAXIMUM EXTENT PERMITTED BY LAW, THE PRODUCTS, SERVICES AND INFORMATION ON THIS WEBSITE AND OR BLOG IS PROVIDED “AS IS” AND WITH ALL FAULTS AND ABO MAKES NO PROMISES, REPRESENTATIONS, OR WARRANTIES, EITHER EXPRESS, IMPLIED, STATUTORY, OR OTHERWISE, WITH RESPECT TO THE PRODUCTS, SERVICES AND INFORMATION, INCLUDING ITS CONDITION, ITS CONFORMITY TO ANY REPRESENTATION OR DESCRIPTION, OR THE EXISTENCE OF ANY LATENT OR PATENT DEFECTS, AND ABO SPECIFICALLY DISCLAIMS ALL IMPLIED (IF ANY) WARRANTIES OF TITLE, MERCHANTABILITY, NONINFRINGEMENT, FITNESS FOR A PARTICULAR PURPOSE, LACK OF VIRUSES, ACCURACY OR COMPLETENESS, QUIET ENJOYMENT, AND QUIET POSSESSION. THE ENTIRE RISK ARISING OUT OF USE OR PERFORMANCE OF THE PRODUCTS, SERVICES AND INFORMATION LIES WITH USER. TO THE MAXIMUM EXTENT PERMITTED BY LAW, IN NO EVENT SHALL ABO OR ITS SUPPLIERS BE LIABLE FOR CONSEQUENTIAL, INCIDENTAL, SPECIAL, INDIRECT, OR EXEMPLARY DAMAGES WHATSOEVER ARISING OUT OF, OR IN ANY WAY RELATING TO THIS AGREEMENT OR USER’S USE OF OR INABILITY TO USE THE PRODUCTS, SERVICES AND INFORMATION, OR THE PROVISION OR FAILURE TO PROVIDE SUPPORT SERVICES, INCLUDING, BUT NOT LIMITED TO, LOST PROFITS, LOSS OF CONFIDENTIAL OR OTHER INFORMATION, BUSINESS INTERRUPTION, PERSONAL INJURY, LOSS OF PRIVACY, FAILURE TO MEET ANY DUTY (INCLUDING OF GOOD FAITH OR REASONABLE CARE), NEGLIGENCE, COSTS OF PROCUREMENT OF SUBSTITUTE GOODS OR SERVICES, OR ANY OTHER CLAIM FOR PECUNIARY OR OTHER LOSS WHATSOEVER, OR FOR ANY CLAIM OR DEMAND AGAINST USER BY ANY OTHER PARTY, EVEN IF ABO HAS BEEN ADVISED OF THE POSSIBILITY OF SUCH DAMAGES. THESE LIMITATIONS SHALL APPLY NOTWITHSTANDING ANY FAILURE OF ESSENTIAL PURPOSE OF ANY LIMITED REMEDY. NOTWITHSTANDING ANY DAMAGES USER MAY INCUR FOR ANY REASON WHATSOEVER (INCLUDING, WITHOUT LIMITATION, ALL DAMAGES REFERENCED ABOVE AND ALL DIRECT OR GENERAL DAMAGES), THE ENTIRE LIABILITY OF ABO AND ANY OF ITS SUPPLIERS UNDER ANY PROVISION OF THIS AGREEMENT AND YOUR EXCLUSIVE REMEDY FOR ALL OF THE FOREGOING SHALL BE LIMITED TO THE GREATER OF THE AMOUNT ACTUALLY PAID FOR THE PRODUCTS, SERVICES AND INFORMATION OR U.S. $1. THE FOREGOING LIMITATIONS, EXCLUSIONS, AND DISCLAIMERS SHALL APPLY TO THE MAXIMUM EXTENT PERMITTED BY APPLICABLE LAW, EVEN IF ANY REMEDY FAILS ITS ESSENTIAL PURPOSE. If any provision of this Agreement is declared invalid or unenforceable, the remaining provisions of this Agreement will remain in effect. ABO has the right to modify these terms and conditions at any time. SAVVY CLEANER is not responsible or liable in any manner for any Content posted on our Website or in connection with our Services, whether posted or caused by Members of our Website, or by SAVVY CLEANER. Although we provide rules for Member conduct and postings, we do not control and are not responsible for what Members post, transmit or share on our Website or Services, and are not responsible for any offensive, inappropriate, obscene, unlawful or otherwise objectionable content you may encounter on our Website or Services. SAVVY CLEANER is not responsible for the conduct, whether online or offline, of any user of our Website or Services. Our Website or Services may be temporarily unavailable from time to time for maintenance or other reasons. SAVVY CLEANER assumes no responsibility for any error, omission, interruption, deletion, defect, delay in operation or transmission, communications line failure, theft or destruction or unauthorized access to, or alteration of, Member communications. SAVVY CLEANER is not responsible for any technical malfunction or other problems of any telephone network or service, computer systems, servers or providers, computer or mobile phone equipment, software, failure of email or players on account of technical problems or traffic congestion on the Internet or any combination thereof, including injury or damage to Member’s or to any other person’s computer, mobile phone, or other hardware or software, related to or resulting from using or downloading materials in connection with the our Website or Services, including without limitation any software provide through our Website or Services. Under no circumstances will SAVVY CLEANER be responsible for any loss or damage, including any loss or damage or personal injury or death, resulting from anyone’s use of our Website or Services, or any interactions between Users of our Website or Services, whether online or offline. SAVVY CLEANER reserves the right to change any and all Content, software and other items used or contained in our Website or Services, at any time without notice. Reference to any products, services, processes or other information, by trade name, trademark, manufacturer, supplier or otherwise does not constitute or imply endorsement, sponsorship or recommendation thereof, or any affiliation therewith, by our Website, by third parties or by any of the equipment or programming associated with or utilized by our Services. THE INFORMATION, CONTENT AND DOCUMENTS FROM OR THROUGH OUR WEBSITE ARE PROVIDED “AS-IS,” “AS AVAILABLE,” WITH “ALL FAULTS”, AND ALL WARRANTIES, EXPRESS OR IMPLIED, ARE DISCLAIMED (INCLUDING BUT NOT LIMITED TO THE DISCLAIMER OF ANY IMPLIED WARRANTIES OF MERCHANTABILITY AND FITNESS FOR A PARTICULAR PURPOSE). OUR WEBSITE AND SERVICES MAY CONTAIN BUGS, ERRORS, PROBLEMS OR OTHER LIMITATIONS. SAVVY CLEANER, INCLUDING ALL OUR AFFILIATES, HAVE NO LIABILITY WHATSOEVER FOR YOUR USE OF OUR WEBSITE OR SERVICES. SAVVY CLEANER CANNOT GUARANTEE AND DOES NOT PROMISE ANY SPECIFIC RESULTS FROM USE OF OUR WEBSITE OR SERVICES, INCLUDING, BUT NOT LIMITED TO, RELATED SOFTWARE. SAVVY CLEANER DOES NOT REPRESENT OR WARRANT THAT OUR CONTENT, OUR SERVICES, OR ANY SOFTWARE FOUND WITHIN ARE ACCURATE, COMPLETE, RELIABLE, CURRENT OR ERROR-FREE OR THAT ANY SUCH ITEMS ARE FREE OF VIRUSES OR OTHER HARMFUL COMPONENTS. THEREFORE, YOU SHOULD EXERCISE CAUTION IN THE USE AND DOWNLOADING OF ANY SUCH CONTENT OR SOFTWARE AND USE INDUSTRY-RECOGNIZED SOFTWARE TO DETECT AND REMOVE VIRUSES. ALL RESPONSIBILITY OR LIABILITY FOR ANY DAMAGES CAUSED BY VIRUSES SOMEHOW ATTRIBUTED TO OUR CONTENT, SERVICES, AND RELATED SOFTWARE IS DISCLAIMED. WITHOUT LIMITING THE FOREGOING, YOU UNDERSTAND AND AGREE THAT YOU DOWNLOAD OR OTHERWISE OBTAIN CONTENT AND RELATED SOFTWARE FROM OR THROUGH OUR WEBSITE OR SERVICES AT YOUR OWN RISK AND THAT YOU WILL BE SOLELY RESPONSIBLE FOR YOUR USE THEREOF AND ANY DAMAGES TO YOUR MOBILE DEVICE OR COMPUTER SYSTEM, LOSS OF DATA OR OTHER HARM OF ANY KIND THAT MAY RESULT. WE, AS WELL AS ALL OF OUR AFFILIATES, ARE NOT LIABLE FOR ANY INDIRECT, SPECIAL, INCIDENTAL OR CONSEQUENTIAL DAMAGES (INCLUDING DAMAGES FOR LOSS OF BUSINESS, LOSS OF PROFITS, LITIGATION, OR THE LIKE), WHETHER BASED ON BREACH OF CONTRACT, BREACH OF WARRANTY, TORT (INCLUDING NEGLIGENCE), PRODUCT LIABILITY OR OTHERWISE, EVEN IF ADVISED OF THE POSSIBILITY OF SUCH DAMAGES. THE NEGATION AND LIMITATION OF DAMAGES SET FORTH ABOVE ARE FUNDAMENTAL ELEMENTS OF THE BASIS OF THE BARGAIN BETWEEN YOU AND SAVVY CLEANER. OUR WEBSITE AND SERVICES WOULD NOT BE PROVIDED WITHOUT SUCH LIMITATIONS. NO ADVICE OR INFORMATION, WHETHER ORAL OR WRITTEN, OBTAINED BY YOU FROM US THROUGH OUR WEBSITE OR SERVICES SHALL CREATE ANY WARRANTY, REPRESENTATION OR GUARANTEE NOT EXPRESSLY STATED IN THIS AGREEMENT. The opinions expressed on our Website are not necessarily the opinions of SAVVY CLEANER. Any Blog content provided by our bloggers are of the blogger’s opinion, and is not intended to malign any religion, ethic group, club, organization, company, individual or anyone or anything. THE INCLUSION OF THIRD PARTY ADVERTISEMENTS DOES NOT CONSTITUTE AN ENDORSEMENT, GUARANTEE, WARRANTY, OR RECOMMENDATION BY SAVVY CLEANER AND WE MAKE NO REPRESENTATIONS OR WARRANTIES ABOUT ANY PRODUCT OR SERVICE CONTAINED THEREIN. SAVVY CLEANER, as well as all our Affiliates, shall not be liable for any loss, injury, claim, liability, or damage of any kind resulting in any way from (a) any errors in or omissions from our Website or Services, (b) any product liability issues to the extent that we are not involved with the manufacturer of the product(s) giving rise to liability, (c) the unavailability or interruption of our Website or Services, (d) your use of our Website our Content, (e) the content contained on our Website or Services, or (f) any delay or failure in performance of our Website and Services beyond our control. IN NO EVENT WILL SAVVY CLEANER BE LIABLE FOR (I) ANY INCIDENTAL, CONSEQUENTIAL, OR INDIRECT DAMAGES (INCLUDING, BUT NOT LIMITED TO, DAMAGES FOR LOSS OF PROFITS, BUSINESS INTERRUPTION, LOSS OF PROGRAMS OR INFORMATION, AND THE LIKE) ARISING OUT OF THE USE OF OR INABILITY TO USE THE SERVICE, OR ANY INFORMATION, OR TRANSACTIONS PROVIDED ON THE SERVICE, OR DOWNLOADED FROM THE SERVICE, OR ANY DELAY OF SUCH INFORMATION OR SERVICE. EVEN IF SAVVY CLEANER OR ITS AUTHORIZED REPRESENTATIVES HAVE BEEN ADVISED OF THE POSSIBILITY OF SUCH DAMAGES, OR (II) ANY CLAIM ATTRIBUTABLE TO ERRORS, OMISSIONS, OR OTHER INACCURACIES IN THE SERVICE AND/OR MATERIALS OR INFORMATION DOWNLOADED THROUGH THE SERVICE. BECAUSE SOME STATES DO NOT ALLOW THE EXCLUSION OR LIMITATION OF LIABILITY FOR CONSEQUENTIAL OR INCIDENTAL DAMAGES, THE ABOVE LIMITATION MAY NOT APPLY TO YOU. IN SUCH STATES, SAVVY CLEANER LIABILITY IS LIMITED TO THE GREATEST EXTENT PERMITTED BY LAW. SAVVY CLEANER makes no representations whatsoever about any other web site which you may access through this one or which may link to this Site. Our Website may, from time to time, contain links to third party websites. These links are provided solely as a convenience to you. By linking to these websites, we do not create or have an affiliation with, or sponsor such third party websites. Inclusion of links for any website on our Website does not mean that we endorse, guarantee, warrant, or recommend the services, information, content and/or data of such third party websites. SAVVY CLEANER has no control over the legal documents and privacy practices of third party websites; as such, you access any such third party websites at your own risk. SAVVY CLEANER uses a variety of security measures to protect the integrity of its websites, as well as Account and individual information. However, we cannot and do not guarantee absolute security, and we are not responsible for any illegal acts of third parties including hacking or similar activities. You agree to indemnify, defend and hold harmless SAVVY CLEANER, its officers, directors, employees, subcontractors, successors, assigns, partners, agents, attorneys, advertisers, licensors, suppliers, affiliates, and any third party information providers to SAVVY CLEANER and/or the Site from and against all liability, loss, claim, expense, damages and costs, including reasonable attorneys’ fees, resulting from any violation of this Agreement (including negligent or wrongful conduct) by you or any other person accessing the Site. The provisions of this Agreement are for the benefit of SAVVY CLEANER and its officers, directors, employees, agents, licensors, suppliers, and any third party information providers to SAVVY CLEANER and/or the Site. Each of these individuals or entities shall have the right to assert and enforce those provisions directly against you on its own behalf. This Agreement shall continue in effect for as long as you use the Site, unless specifically terminated earlier by SAVVY CLEANER. SAVVY CLEANER reserves the right to terminate your account at any time without reason or cause. All provisions of this Agreement which impose obligations continuing in their nature shall survive termination of the Agreement. This Agreement shall all be governed and construed in accordance with the laws of the State of Arizona without giving effect to its conflict of law provisions. By registering for an account on the Site, you agree that any dispute that cannot be resolved between the parties shall be resolved individually, without resort to any form of class action. You further agree that any legal action or proceeding between SAVVY CLEANER and you for any purpose concerning this Agreement or the parties’ obligations hereunder shall be brought exclusively in a court of competent jurisdiction in the State of Arizona. You agree that any cause of action arising out of or relating to this Agreement or your use of the Site will be commenced by you within one (1) year after such cause of action arose. Actions not commenced by you within one (1) year are permanently barred. If any portion of this Agreement is ruled by a court of competent jurisdiction to be unlawful, void, or for any reason unenforceable, then, to the maximum extent permitted by law, the provision shall be reformed to reflect the intent of the parties or if the provision cannot be so reformed, severed from the contract, it being agreed that such severance shall not affect the validity and enforceability of the remaining provisions of the Agreement. SAVVY CLEANER’s failure to exercise any right or provision of the Agreement shall not constitute a waiver of such right or provision.